My boyfriend and I recently went on a trip to Portland, Oregon. He had never been there, and I didn’t recall anything memorable about the city when I did visit with my parents years ago. As our trip quickly approached we were both busy working and studying that we didn’t map out our trip other than book our flights and a place to stay. We decided to wing it. So what did we do during our 5 days in Portland? Eat, walk, and explore! 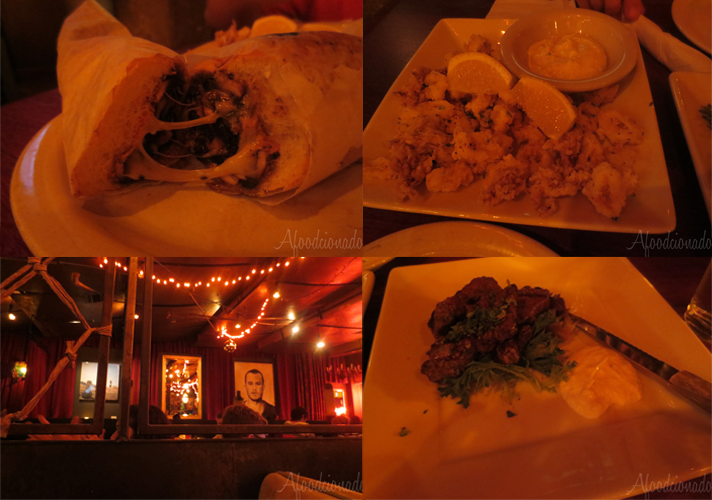 Here are a few notable places that we tried! We found ourselves with 3 hours to kill before our check in time. We walked to the streetcar and hopped off on Alder Street where we heard some food carts were. There were about 50 that went around the circumference of a street block and some stragglers on the outskirts. We were excited for our first and very Portland dining experience. We walked around the block to see what was there before we made a selection. He chose to go to The People’s Pig and I chose to go to Kargi Gogo. 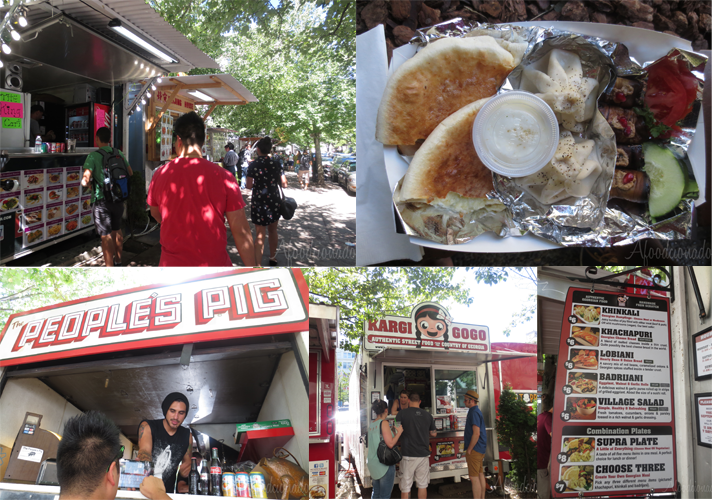 The People’s Pig was recommended to us by a couple people we met on the street car that touted their Porchetta as porky heaven on buns, and I chose Kargi Gogo because they served Georgian food and I’ve never had that before. I picked three items and got the khachapuri (Georgian cheese bread), meat khinkali (Georgian dumplings), the badrijani (eggplant, walnut, and garlic rolls with some pomegranates to garnish, and a side of the garlic yogurt sauce. Thoughts? The People’s Pig’s porchetta was $10 of disappointment. 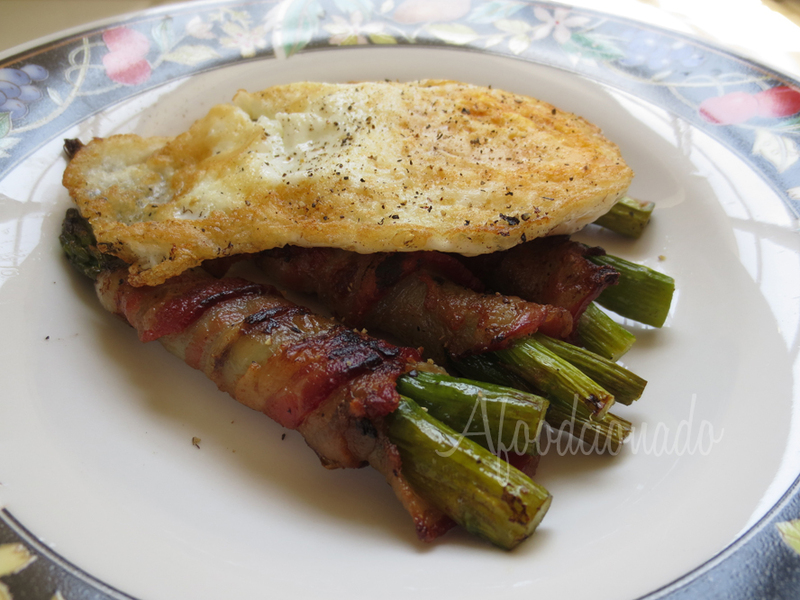 The portion of meat was generous, but the cuts had a higher connective tissue and fat to meat ratio. Kargi Gogo was pretty good! The cheese bread was DELICIOUS, it was like stuffed crust but so much better (not trying to diminish a cultural dish, it’s just trying to find a relateable flavor. The dumplings were big and the meat inside wasn’t in a ball like I imagined, but it was well seasoned and tasted even better with the sauce. It was like a big xiao long bao with thicker wrapping. The eggplant was bite sized and was a new sweet and savory flavor that was interesting. Interesting good. Not interesting bad. The boyfriend and I really didn’t want to waste our meals on mediocre food (We don’t want no mediocre, We don’t want no mediocre), so it would take us a while to decide what to eat. When we finally settled in, and after about and hour or two of searching online and on foot. We decided to go to Muu Muu’s. We walked there from our place and didn’t really notice it at first until I got a real good look at the shield hanging outside that said Muu Muu’s. The people outside directed us to the door and we were seated in a booth under the orange string lights and eclectic decor. We ordered the fried calamari, steak bites, and salad off the small bites menu, and the shroom sandwich off the regular menu. Coming from LA, when we saw small bites for $6 we thought it would literally be a bite. as you can see there was a generous amount of calamari and the steak bites were AMAZING. I’m not a huge fan of horseradish but their horseradish sauce was THE BOMB. The shroom sandwich did that oogey gooey cheese thing all on it’s own, and I was lucky enough to catch the cheese goodness on camera. The sandwich was packed with mushrooms seasoned with thyme, cumin, and some other spices, that will make you seriously consider becoming a vegetarian if you can have veggies like that every day. Amazing… we wanted to hit this place up again before heading out but…you’ll see why we didn’t later. 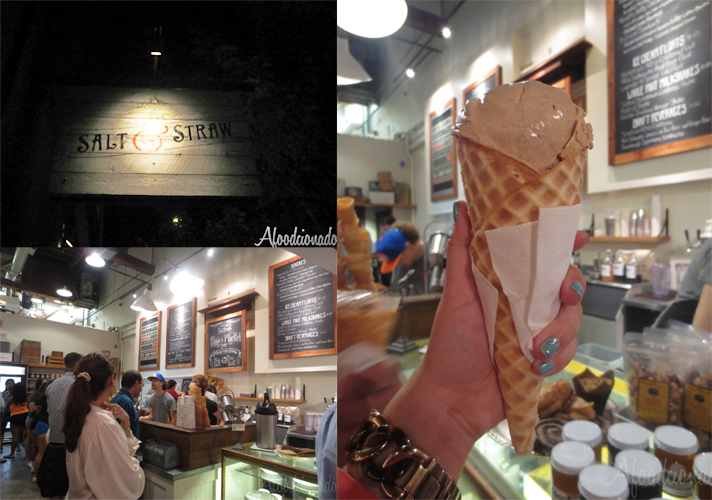 The Famous Salt & Straw for Dessert! Salt & Straw is an ice cream place that a friend of mine suggested, and was coincidentally in the neighborhood we were staying in. While roaming the streets for a worthy place to have dinner we stumbled on this place that permeated of waffle cone and had a line around the door. We looked up and saw that it happened to be Salt & Straw. We made a point to save some space after dinner to have some ice cream, regardless of the wait. We waited in the line that went around the corner, and chatted with some natives about places we need to go visit. Once at the front an employee asked which flavors we wanted to try. We refrained from listing all of them and sampled a few of the seasonal flavors. Ultimately, I got a scoop of the cinnamon snickerdoodle and the boo got a scoop of the almond and salted ganache. I couldn’t finish my cone, but it didn’t go to waste! I saved it in the freezer to have it as a snack later. This was only day 1.